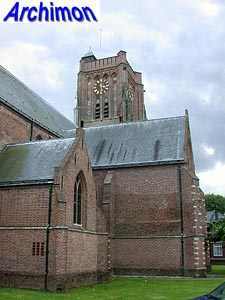 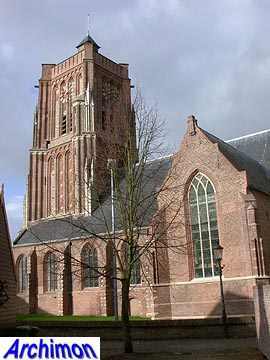 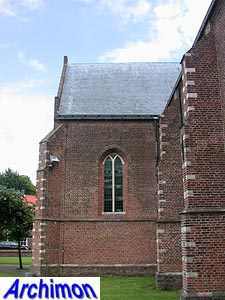 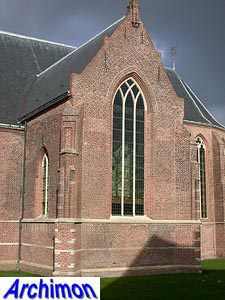 There are sources that claim that in the 7th century a chapel was founded on current Woudrichem soil. 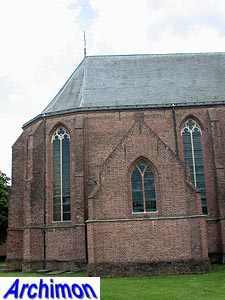 This chapel stood on the location of the choir of the current church. 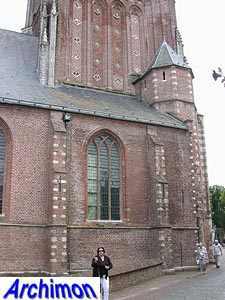 How true this story is, is unknown. 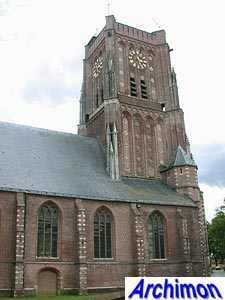 The current reformed church, or St. Martinus as it is also still called, was built in the 15th century and 16th century. 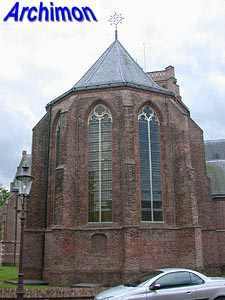 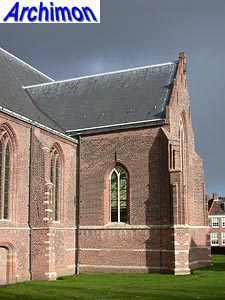 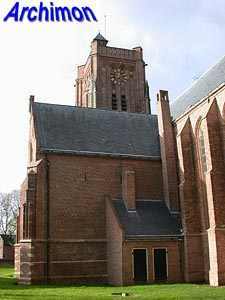 In 1573 and 1574, during the Eighty Years War, the church was badly damaged. 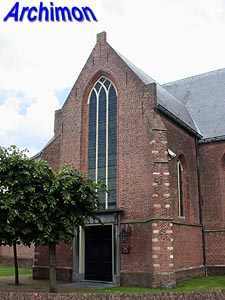 Although a protestant church now, it was entirely rebuilt after 1621. 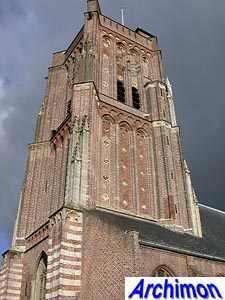 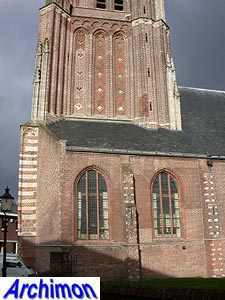 The St. Martinus is a three-aisled cruciform pseudo-basilica with a long choir and side-aisles that run along both sides of the tower. 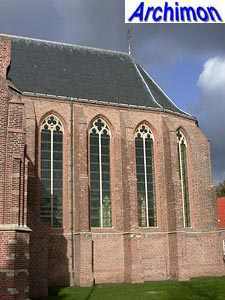 The oldest part of the church is probably the choir. 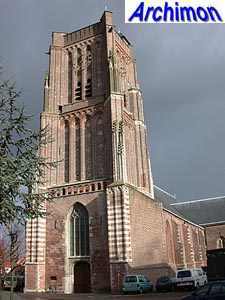 The last part of the church that was completed is the tower. 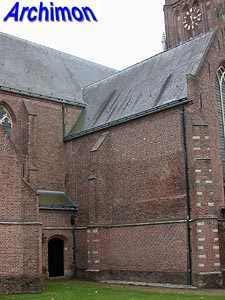 Most of the church is in a modest Gothic style, the most obvious decorations being blocks of light-coloured natural stone in the buttresses which, like the rest of the church, are mostly made out of brick. 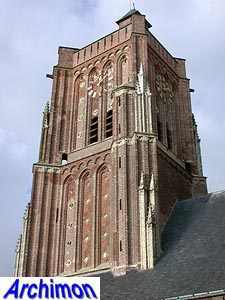 Unlike the church, the tower is richly ornamented. 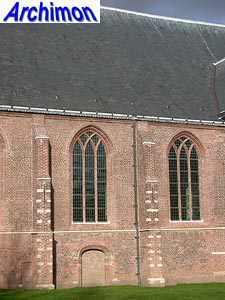 While its lower section, built in the 15th century, is relatively modest, the upper two segments, from the first half of the 16th century, have friezes and niches while within these niches are ornamental round and diamond-shaped medallions with heads, which are an early example of Renaissance influence. 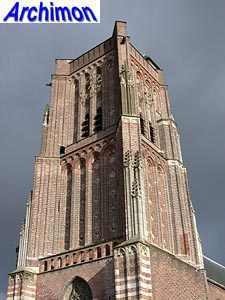 The original tall spire of the tower was destroyed in 1573. 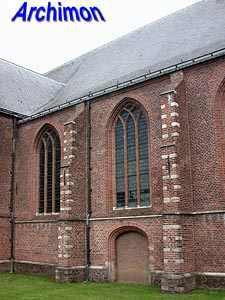 After 1621 it was replaced by a lower one which in 1717 was also lost. 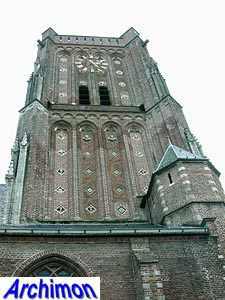 The tower is nowadays covered by a roof which lies hidden behind a balustrade, added during a restoration in 1933.